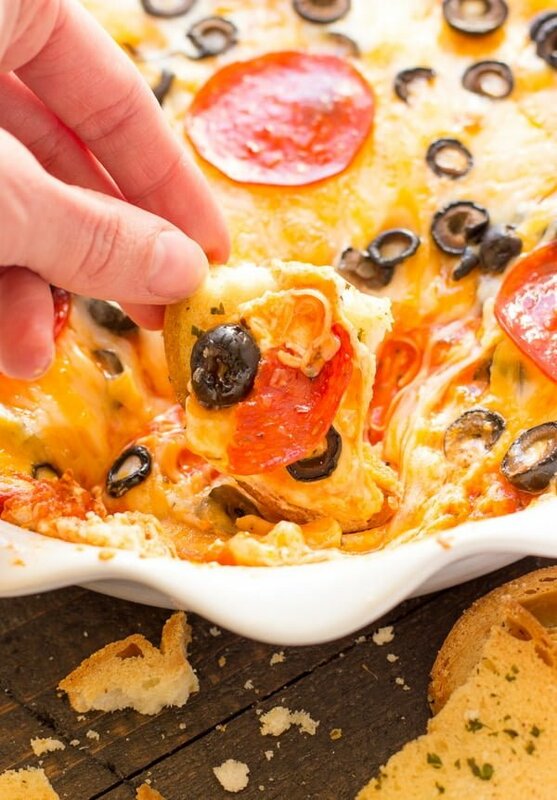 This Hot Pizza Dip is an easy dip recipe made with cream cheese, pizza sauce and of course your favorite pizza toppings. Happy Friday! Who’s excited for the Super Bowl this weekend? 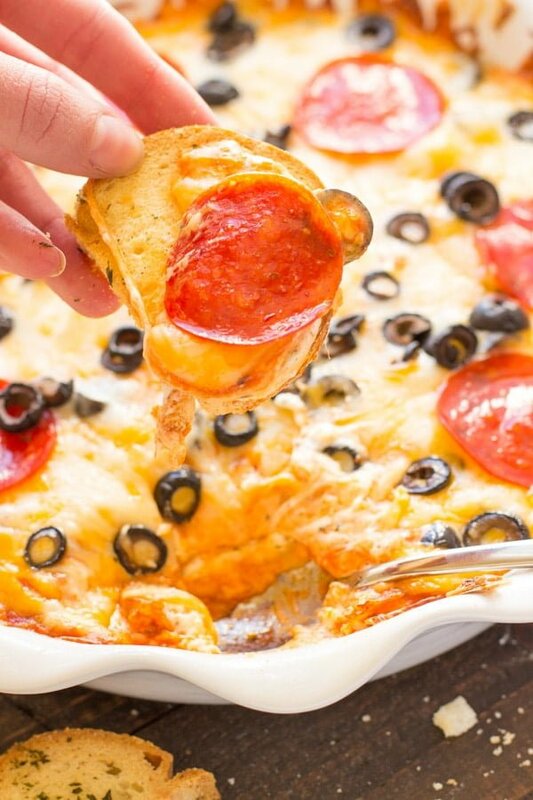 I am excited to see all the commercials, watch JT kill it during the halftime show and most importantly, stuff my face with all my favorite appetizers, like Taco Dip, Cookie Dough Dip , and this delicious Easy Pizza Dip. 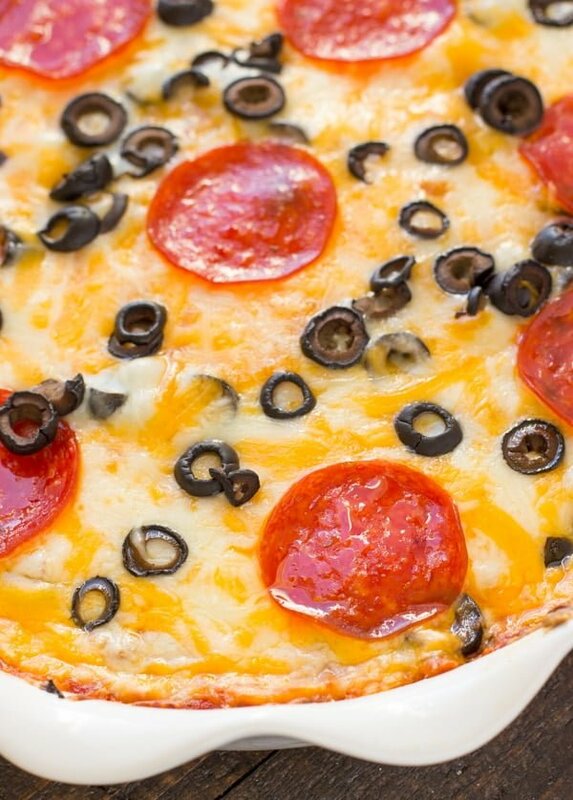 This dip is always a huge hit at a party, I’m mean…who doesn’t love pizza. 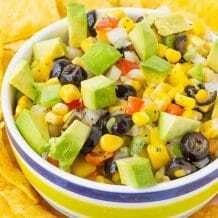 I love that you can add your favorite pizza toppings, if your a just cheese lover…this dip is still super delicious either with just cheese or 10+ toppings. 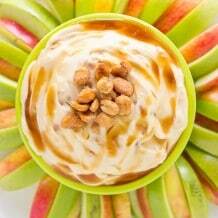 SOFTEN CREAM CHEESE: Having softened cream cheese is a must. You need to be able to spread the cream cheese evenly on the bottom of your pie dish. You can either set the cream cheese out on your kitchen counter an hour before you ready to make this dip or you can place the cream cheese in the microwave for 10 seconds. ⬅ For me this is the best way to soften cream cheese FAST because I always forget to take it out of the fridge in time. 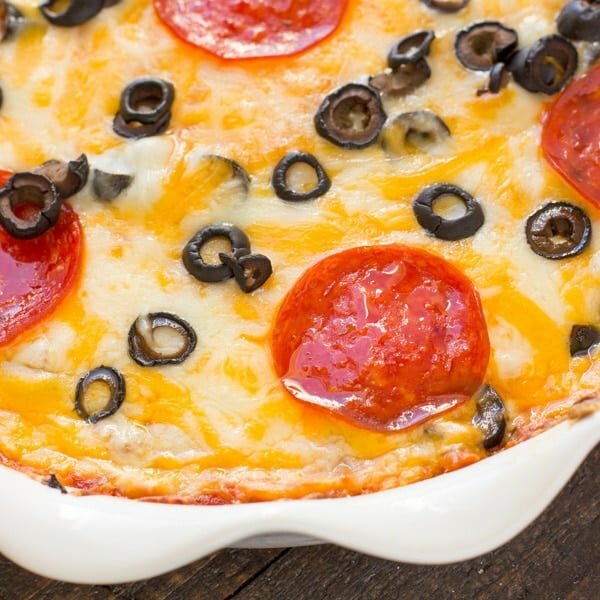 FAVORITE PIZZA TOPPINGS: Like I said before, you can just add cheese or you can load this pizza dip up with all your favorites. One of my favorites is to add chicken, mushrooms, and bacon…OMG, SOO GOOD! MAKE-AHEAD: You can make this dip ahead of time and then once your ready to serve it, all you need to do is bake it for 20 minutes! 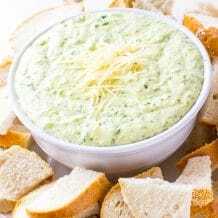 SERVE WITH: I like to serve this pizza dip with garlic toast that I buy from the grocery store, but you can also serve it with breadsticks or even just tortilla chips. 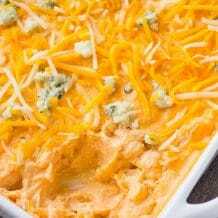 JUST LIKE TACO DIP BUT BETTER! 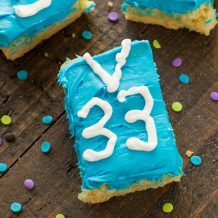 READY IN 5 MINUTES IN THE MICROWAVE! PRE-STEP: Preheat oven to 350F degrees. Spray a 9-inch pie dish with non-stick cooking spray. Set aside. STEP 1: In a large bowl, combine cream cheese, Italian seasoning and garlic powder. STEP 2: Spread cream cheese mixture on the bottom of the pie dish. 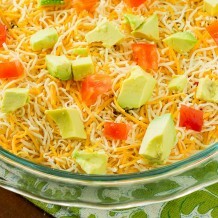 STEP 3: In another bowl, combine shredded cheeses; sprinkle half over the cream cheese layer. STEP 4: Top with pizza sauce, half of the pepperoni and half of the black olives. Sprinkle with remaining cheese. STEP 5: Top cheese layer with the remaining pepperoni and olives. Bake for 20 minutes. Serve warm.